Product prices and availability are accurate as of 2019-04-23 22:24:25 UTC and are subject to change. Any price and availability information displayed on http://www.amazon.com/ at the time of purchase will apply to the purchase of this product. 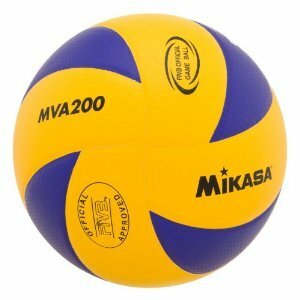 playvolleyball.net are happy to stock the brilliant Mikasa MVA200 2008(Beijing), 2012(London), and 2016(Rio) indoor Olympic Games Ball (Blue/Yellow). With so many on offer right now, it is good to have a make you can recognise. 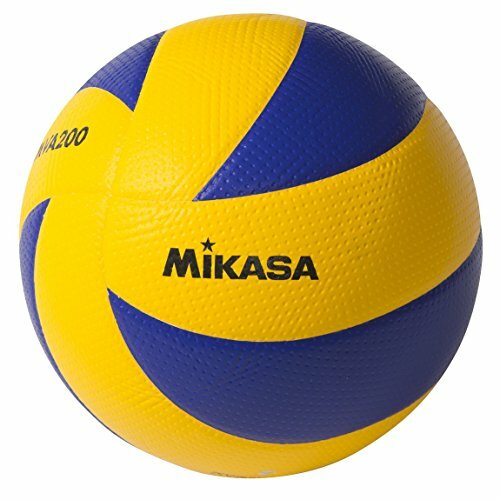 The Mikasa MVA200 2008(Beijing), 2012(London), and 2016(Rio) indoor Olympic Games Ball (Blue/Yellow) is certainly that and will be a great purchase. 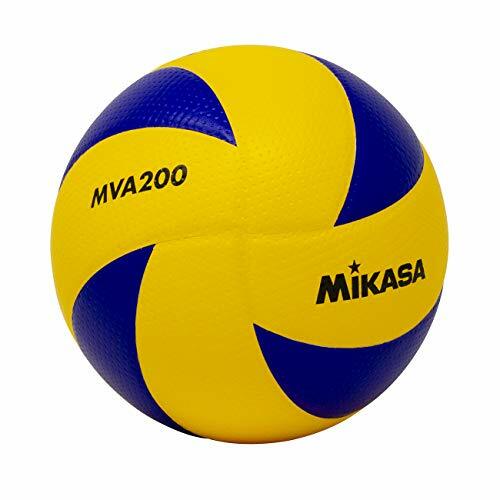 For this great price, the Mikasa MVA200 2008(Beijing), 2012(London), and 2016(Rio) indoor Olympic Games Ball (Blue/Yellow) comes highly respected and is a popular choice for most people. Mikasa have included some great touches and this results in good value. 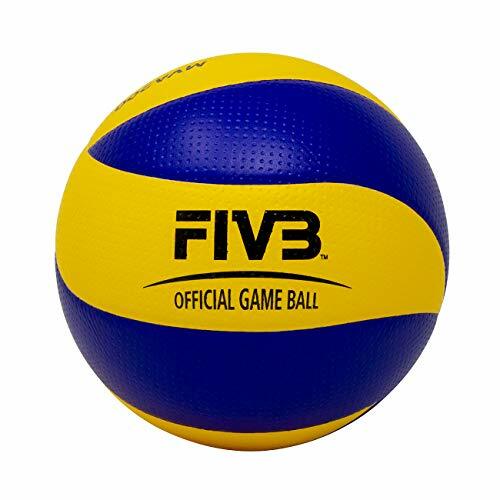 The Mikasa MVA200 Indoor Volleyball is tested and ready for high-quality performance in the Olympic Arena and was used in the 2008 Olympic Games in Beijing, China. Features include an eight-panel swirl design that allows for more contact area on the surface to improve passing and control and a unique dimpled microfiber material that creates turbulence and cuts down on resistance as the ball flies through the air. This lack of resistance allows the ball to fly through the air in a truer form so you can be creative with your serves and spikes. 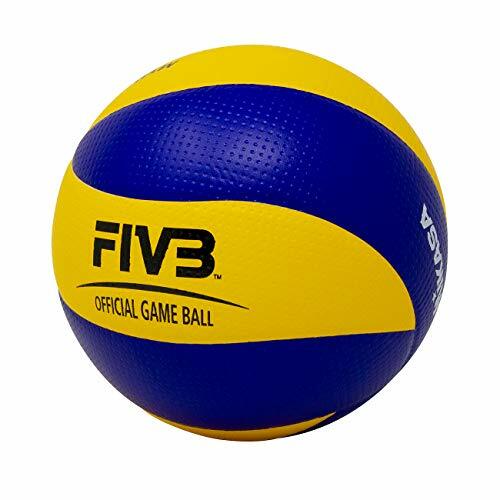 official game ball for the 2008(Beijing), 2012(London), and 2016(Rio) indoor Olympic Games New 8 panel swirl design allows for more contact area on the surface of the ball, improving passing and control. Dimpled microfiber material creates turbulence in the air, which allows ball to fly through air. Cemented panel seams allows air between panel and carcass for a softer feel. Blue and yellow color pattern is picked up fastest by human eye allowing for better player reaction time. For optimal performance, additional inflation may be required. Ball pump not included.